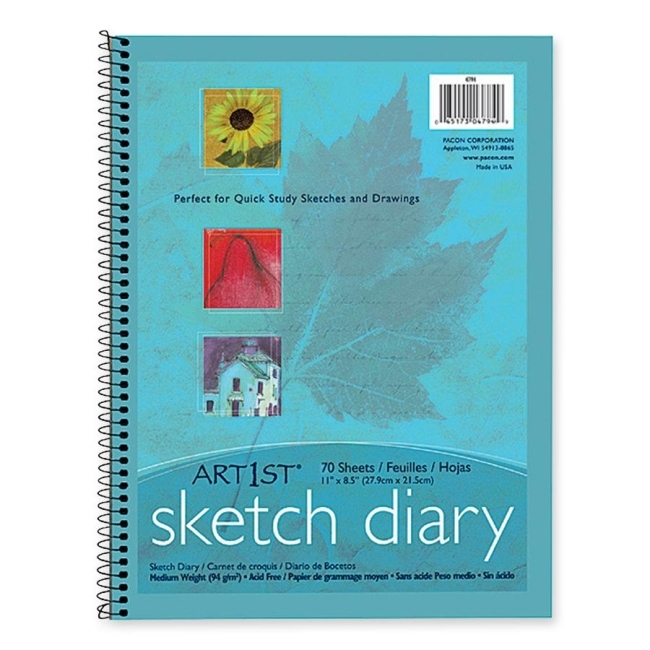 Pacon Art1st Sketch Diary - 8.5" x 11"
Sketch diary contains 70 sheets of medium weight, sulphite drawing paper that is ideal all dry media. Each all purpose white sheet is acid free with 94 gsm. Spiral binding on the side works well for portable sketching. 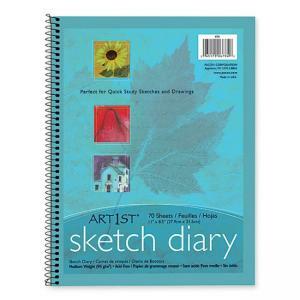 Diary is perfect for quick study sketches and drawings.